Cardia Bioplastics, a world leading developer, manufacturer and marketer of renewable resource-based materials, has revealed that it was setting its own film and bag manufacturing plant in Sao Paolo, Brazil, in response to the growing demand for its environmentally preferred bags. The announcement comes just three days after the company was granted a trading halt by the ASX in relation to its anticipated business expansion. The new factory, which is scheduled to commence production in September, is expected to deliver production capacity of 500 million retail carry bags per year, four times greater than that of the current Cardia Bioplastics manufacturing plant in Nanjing, China. 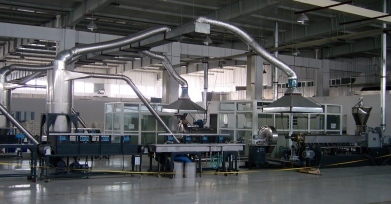 The production machinery for the new manufacturing capacity was obtained at a cost of A$175,000 and funded using vendor finance over a twelve months period. “This represents a key milestone in the implementation of our business strategy to establish a finished products division with its own dedicated resources and manufacturing capability in key markets. The vertical integration from Cardia Biohybrid™ resins to Cardia Biohybrid™ films and bags ensures product quality, control of supply, improved margins and enhanced cost structures that underpin Cardia’s global growth strategy,” Cardia Bioplastics Chairman Richard Tegoni stated. “We are thrilled with our new manufacturing facility. The Brazilian retail market is a major market for our Biohybrid™ carry bags. With our own production coming on stream, we are now poised to deliver the increasing orders that we have been receiving, whilst further growing the business,” Cardia Bioplastics Latin America Managing Director João Paulo Mignot said. The last couple of years saw Cardia establish itself as a reliable supplier of quality environmentally preferred retail carry bags to the Brazilian market, which helped the company secure annual supply contracts with high profile Brazilian retailers Ricoy Supermercados and Drogaria Araujo. Its success at the APAS 2014 Fair in São Paulo, Brazil, where the company received significant increase in orders, further validates the quality and high demand for Cardia’s products. “Following the success at the APAS Fair in conjunction with regular sales through established channels, we have confidently committed to establishing our own production in Brazil to meet demand. Brazil is a rapidly growing market with keen interest and orders from retailers for Cardia Biohybrid™ bags,” Mr Mignot added. “The establishment of Cardia’s own production facilities in Brazil could not have come at a better time. We have seen strong growth in demand for Cardia Biohybrid™ bags – environmentally preferred bags that use less oil, have a lower carbon footprint and are heavy metal free, driven by consumer, retailers, brand owners, municipals and government,” Cardia Bioplastics Managing Director Dr Frank Glatz said. According to Proactive Investors, Cardia’s sales revenues for the June quarter stood at $1.74 million, an increase of 48.5% over the preceding three month period.